As is known, Swiss watchmaker Omega is the 25th time was the official timekeeper of the Olympic Games in 2012, passing the summer in London. 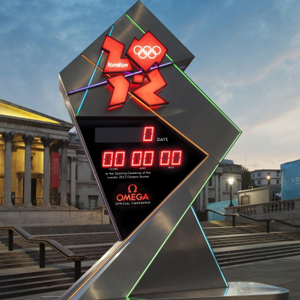 On Friday, the opening ceremony of the Olympics, and counted out the last seconds of the largest sporting event, Omega watches in Trafalgar Square. Note that the ceremony was directed by Danny Boyle, who made films like “Slumdog Millionaire,” “Trainspotting”, “127 hours“. 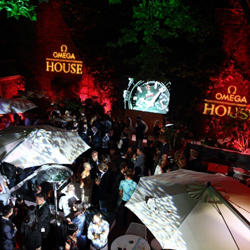 The guests visited the Olympic Games July 28 opening of an exclusive residence time of Omega in the heart of Soho. It should be noted that the private house of Omega House can visit only the holders of registered card every day until the close of the Games to be held on August 12. The opening was also attended by well-known actress, brand ambassador Nicole Kidman and her husband Keith Urban, as well as other celebrities.